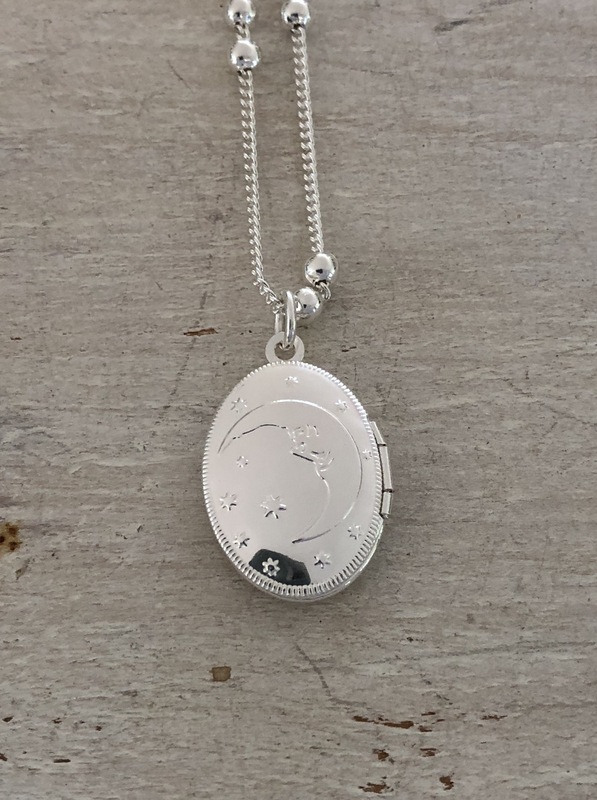 This cute locket has a cute etching on the front of the moon and stars. Can open hold your (small!!) pic, seriously cute! Chain length is approx 70cms with some adjustment to get your perfect length. 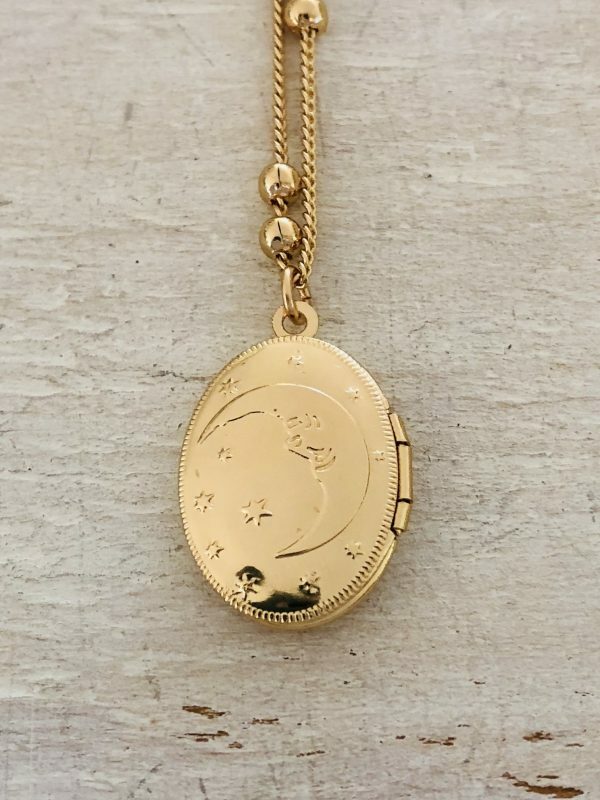 Available in gold or silver brass plated. 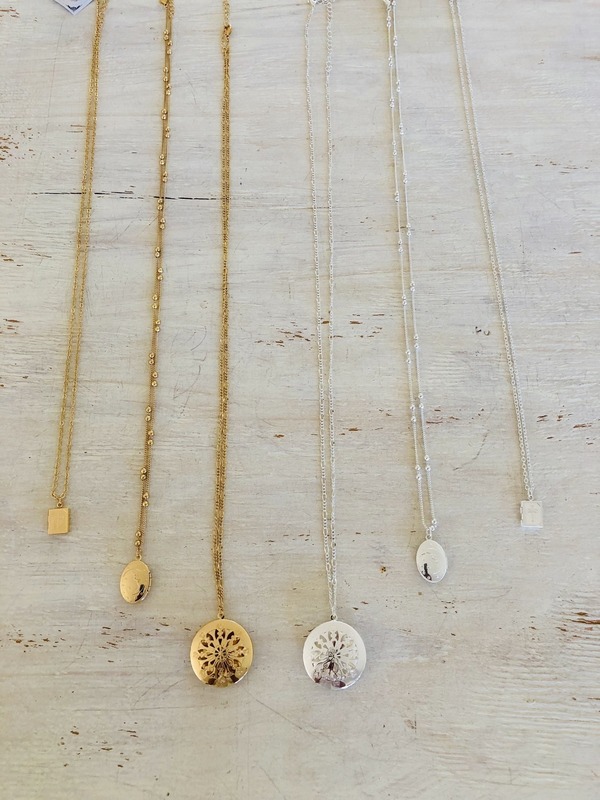 Wear on its own or layered with your other necklaces.